MANILA – At a time when the Philippines is affected by issues on food security and increasing prices in agricultural products, federalism can serve as the solution to the consequences of a system that concentrates decision-making to only a few, an official of the Department of the Interior and Local Government (DILG) has said. “Each region has its own problems in agriculture so the regional government is in the best place to offer solutions to region-specific problems,” Assistant Secretary Jonathan E. Malaya said in a news release issued Wednesday. Should the country make the decision to shift from a unitary setup to a federal one, Malaya said the power exercised by the national government would be spread out to empower the regions. The regional government will then have the power and funds to invest in innovations, technologies and infrastructure that would assist farmers in plowing, planting, watering, fertilizing, harvesting and processing their own agricultural produce. He cited as an example the incidence of the National Food Administration (NFA) rice shortage and its corresponding effects on the economy. “We are an agricultural country with rice as our staple, but we continue to experience a crisis in the supply of affordable rice in the country,” Malaya said. “The national government has been trying to solve the ever-pressing problem of rice supply and costs, but perhaps it’s time that the regional government call the shots,” he added. 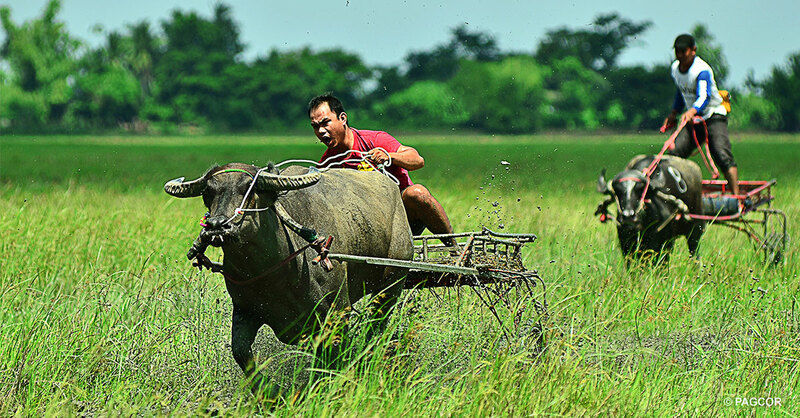 Latest data from the Philippine Statistics Authority (PSA) showed that palay is the top agricultural produce of the country. However, palay production in April to June this year declined by 1.44 percent to 4.09 million metric tons (MT) from 4.15 million metric tons produced in the same period last year. The PSA ascribed the decrease to early planting in Cagayan Valley and early harvesting in Soccksargen (South Cotabato, Cotabato, Sultan Kudarat, Sarangani, General Santos City) during the last two quarters of 2017. Central Luzon is recognized as the Rice Granary of Philippines with its agricultural sector expected to run a 5 percent to 6 percent average growth rate by 2022. Its regional development plan aims to bring the country closer to rice self-sufficiency by 2018, but as it is, rice importations continue to heckle the goal of the government to lift farmers out of poverty. Meanwhile, Cagayan Valley has experienced an erratic performance in terms of agricultural growth, dragged down by weather disturbances and climate changes. In 2013 and 2014, the onslaught of several typhoons, coupled with the adverse effects of the El Niño weather phenomenon in 2015, bogged down the region’s agriculture sector to the non-attainment of this target production in those years. Despite serving as a main producer of the country’s palay, the region’s economic potential was pulled down by limited marketable products, lack of processing centers and inadequate market linkages. “All these can be remedied by a federal shift. If we only give the regional government the power to implement programs and projects for its own agricultural sector, then we would see our farmers prospering under federalism,” Malaya said. The DILG is conducting separate, simultaneous roadshows for Central Luzon and Cagayan Valley in San Fernando, Pampanga and Cauayan, Isabela on Sept. 26 and 27, respectively. The DILG is tasked to spearhead the Duterte administration’s push for a federal form of governance in the country and has been conducting its federalism roadshows in the regions since June.